After exploding on to the scene as one half of the legendary Black Star alongside Mos Def in 1998, Talib Kweli quickly followed up in 2000 with the album Train of Thought, his collaborative effort with producer Hi-Tek. As fans,critics and his peers unanimously agreed, Kweli was cemented as one of hip hop’s top lyricists and continued to release one acclaimed album after another – garnering direct praise from Jay-Z on his song “Moment of Clarity” from Jay-Z’s classic The Black Album. Meanwhile as the early 2000’s progressed, a new trio was bursting on the scene from North Carolina known as Little Brother. Behind the boards of this trio was producer 9th Wonder, who very quickly established himself as one of hip hop’s best producers. As their 2003 album The Listening reached a fever pitch, 9th Wonder’s buzz became so hot he claimed a highly coveted production spot as well on Jay-Z’s The Black Album. Through the years both Talib Kweli and 9th Wonder have gone on to work with a staggering list of hip hop royalty. However both of their respective works outside of the recording booth have become prominent pieces of their stories as well. 9th Wonder has established himself as Hip Hop’s top educator, working as a professor at Harvard, Duke and North Carolina Central University, while Talib Kweli has become one of Hip Hop’s most vocal and respected voices, who appears regularly on news outlets such as CNN and programs like HBO’s Real Time with Bill Maher. 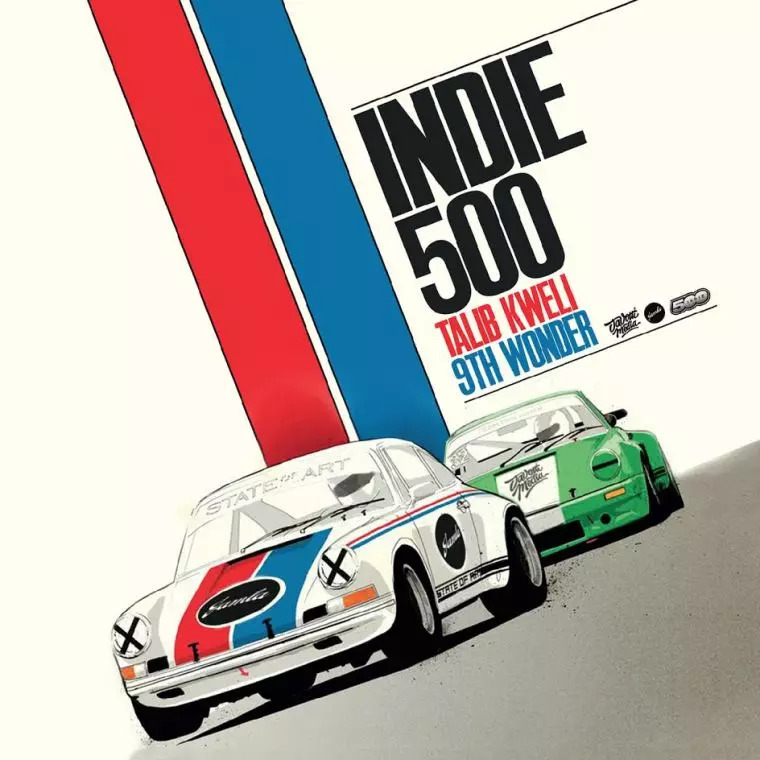 A collaboration between Kweli and 9th almost seemed to make perfect sense, but INDIE 500 represents even more to the artists. “I’ve always been a fan of collectives, like Native Tongues and the Dungeon Family,” explains Kweli. “INDIE 500 is a tribute to the spirit of unity exemplified by some of great hip hop artists that influenced us.” Collectives are nothing new to the two, who have both successfully run their own labels in Blacksmith, Javotti (Kweli) and Jamla (9th Wonder), helping to break a number of popular artists over the years.